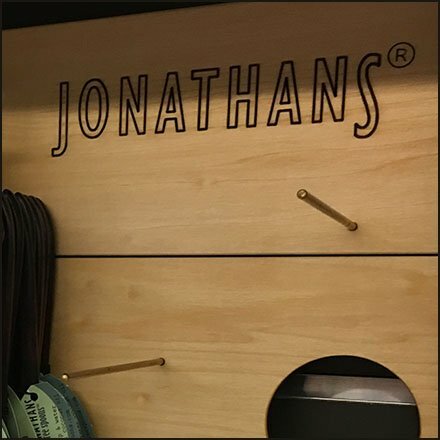 Jonathan’s sets its display scene permanently with Handcrafted Utensils Plug-In Hooks. If you know what you want to sell in this shelf-edge shadowbox display, why not permanently define your planogram with plug-in hooks. No rearranging or replanogramming required, or desired. Just restock in the pre-defined positions. These Handcrafted Utensils Plug-In Hooks by Jonathan’s seen at Whole Foods, Allentown PA.